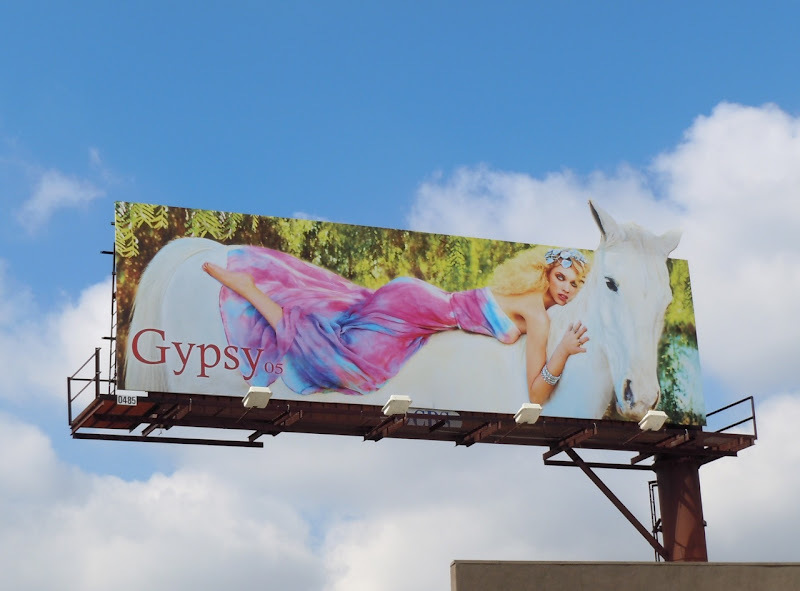 Unfortunately this billboard from Gypsy 05 stood out for all the wrong reasons, as Daily Billboard mistook the female model astride a white horse to be a drag queen riding a unicorn (it is in the center of West Hollywood after all and from a distance those pointy ears extending above the billboard looked like the horn of the mythical creature). 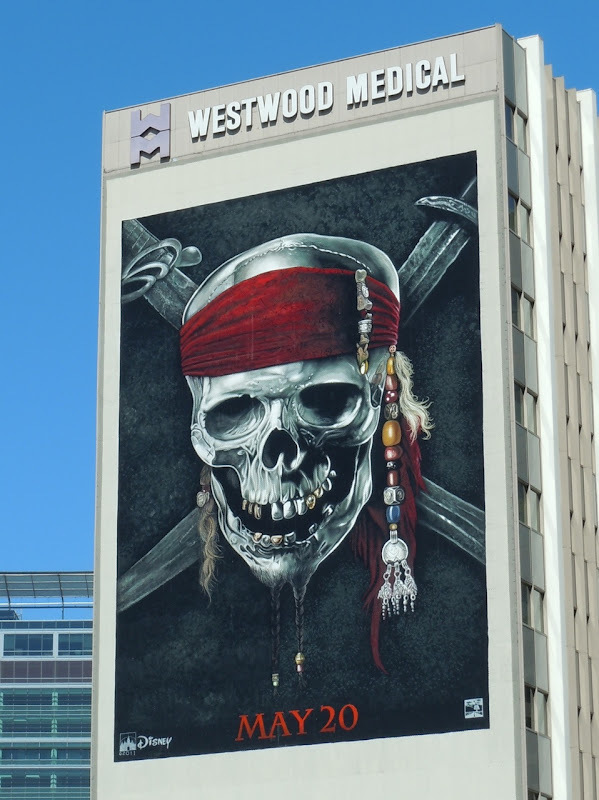 Obviously that would have been the ultimate fairytale, but it does prove that this dreamy fashion billboard snapped along Santa Monica and La Cienega Boulevards on March 28, 2011, catches your eye and makes a colourful statement. 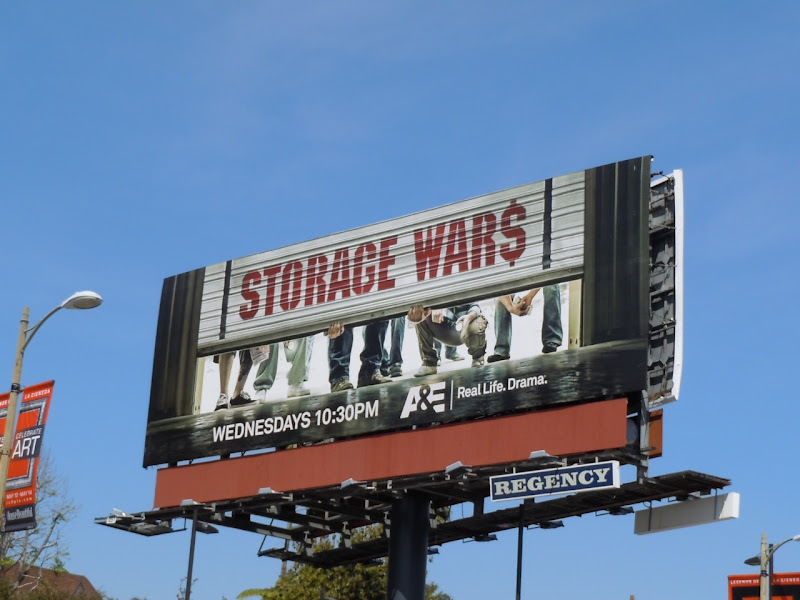 Daily Billboard likes this clever creative for the new A&E reality show, Storage Wars. 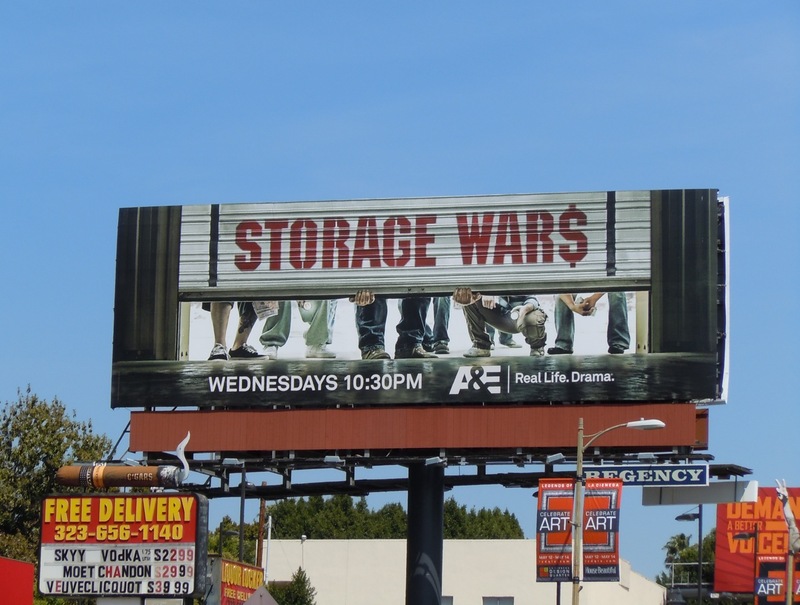 The billboard really help conveys the themes of the show about teams of professional buyers who purchase the contents of repossessed storage units in Southern California and try and make a profit from what they find. 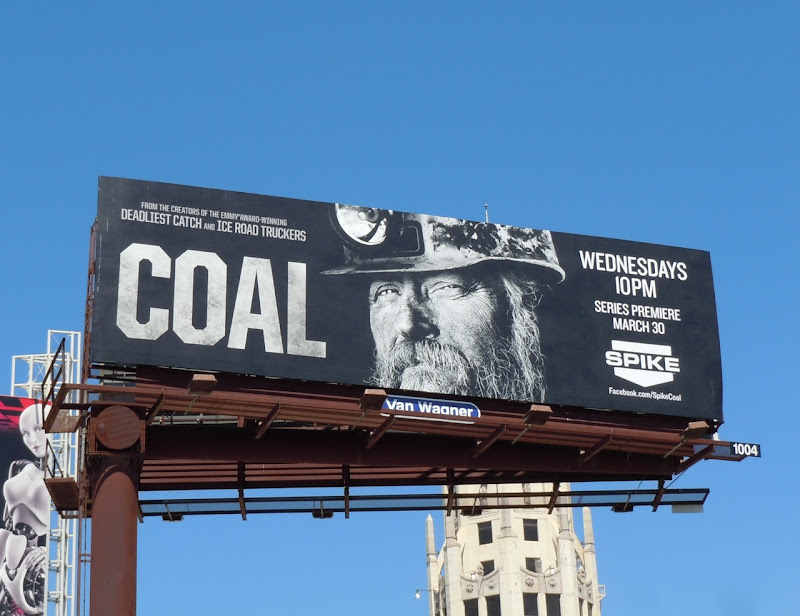 This television show billboard was snapped along Sunset Boulevard in West Hollywood on April 14, 2011. 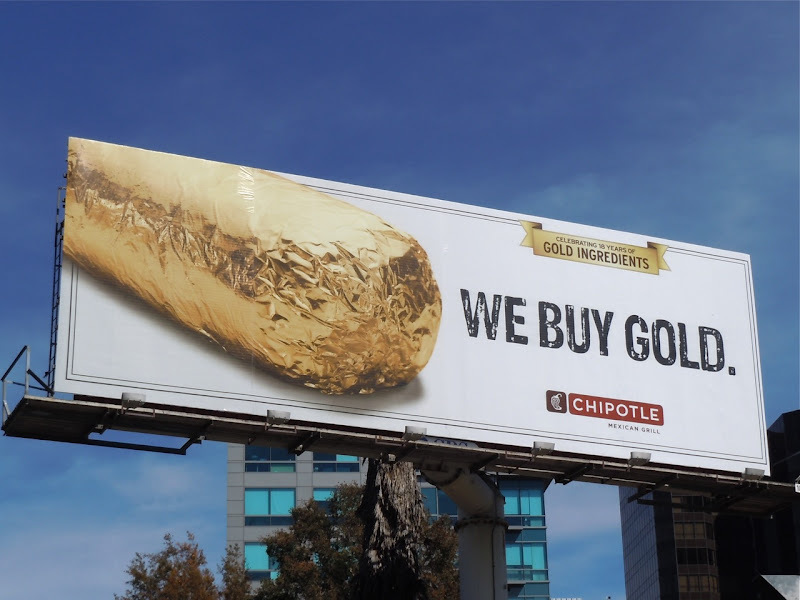 At first it appears that this is just another cheap gold trade-in advertisement, but on closer inspection it's actually another clever billboard creative for Chipotle Mexican Grill restaurants. 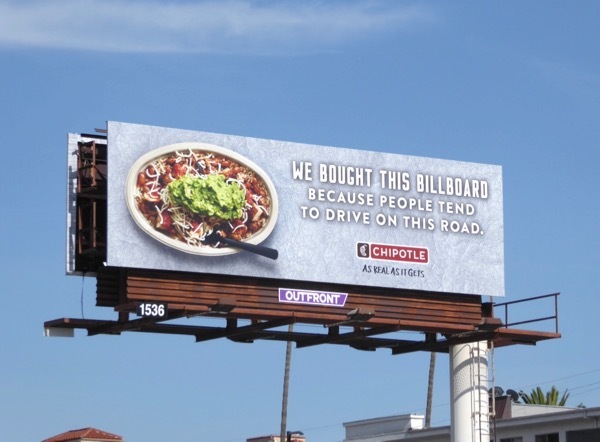 This tongue-in-cheek billboard was snapped at Sweetzer Avenue and Wilshire Boulevard on March 30, 2011. 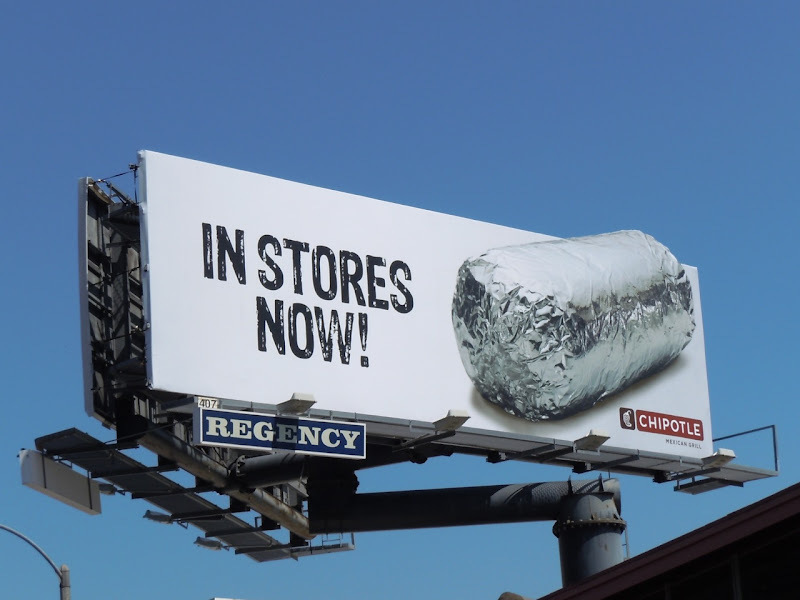 Check out more Chipotle billboards here at Daily Billboard. 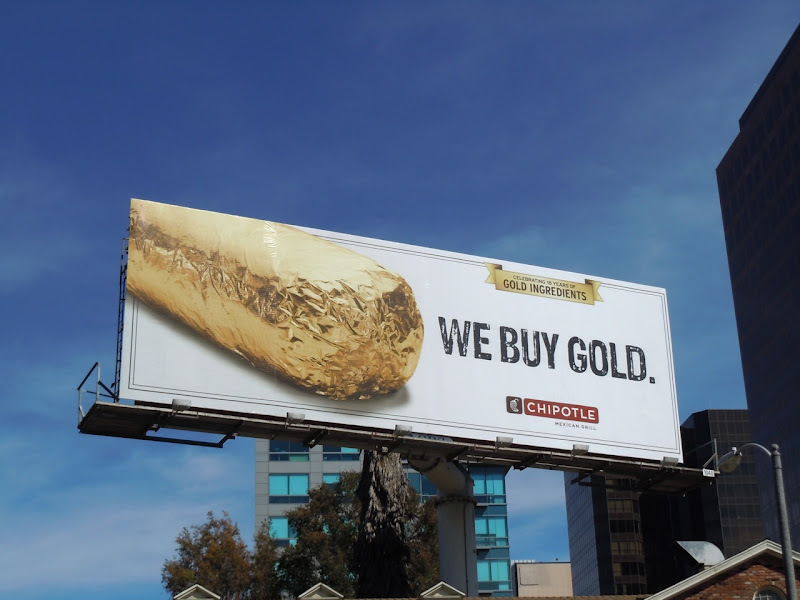 UPDATED: Here's a companion silver foil wrapper billboard to go with the gold version, snapped along Sunset Boulevard on June 15, 2011. 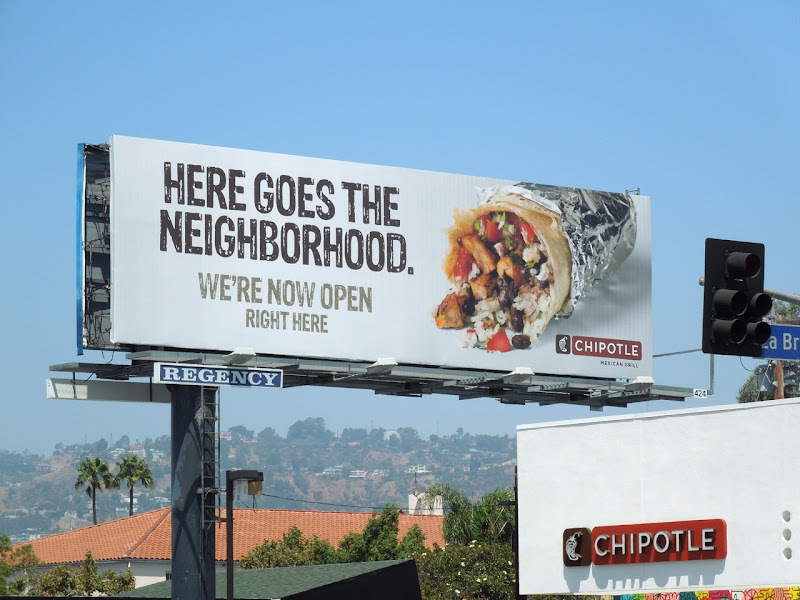 UPDATED: The ever-expanding Chipotle Mexican Grill has recently opened a new restaurant at the corner of L.A.'s Melrose and La Brea Avenues. 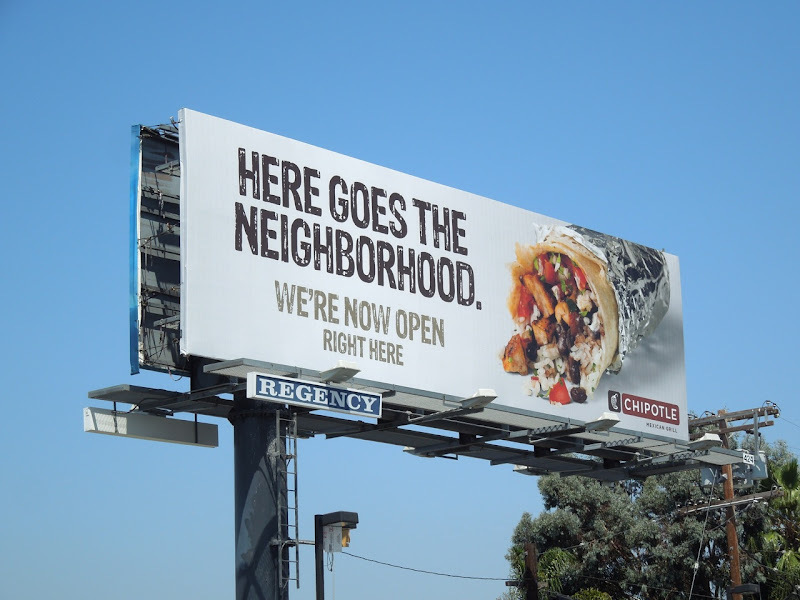 Here's a fun foodie billboard directly over the eatery to help support the newly opened branch snapped on August 2, 2012. 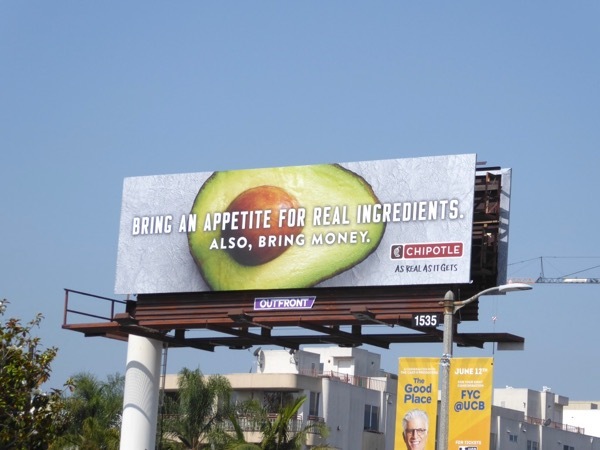 UPDATED: Chipotle continues to have fun with its advertising, and highlight their real ingredients, as evidenced by this ad creative over their Beverly Boulevard location, snapped on June 2, 2017. Whilst this additional equally tongue-in-cheek ad creative was spied on the eastbound side of this hoarding on June 8, 2017. 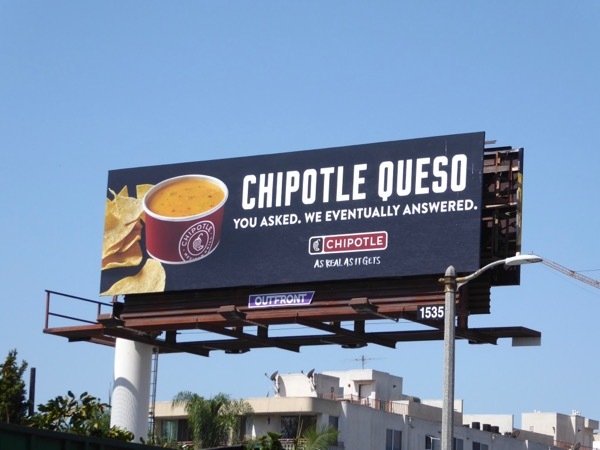 UPDATED: Here's also another set of witty billboards for the introduction of queso on the menu, snapped above Beverly Boulevard on August 11, 2017. 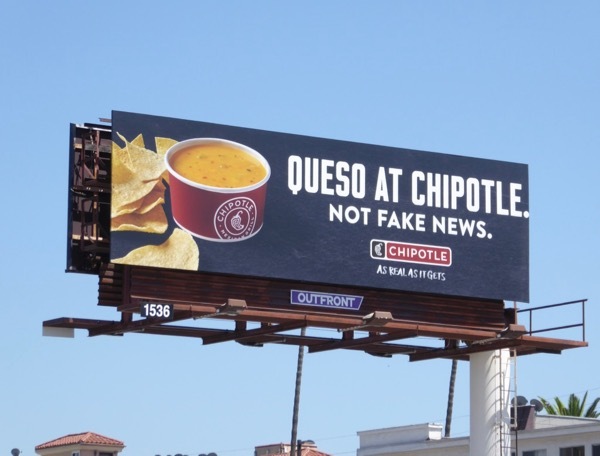 It may have taken Chipotle time to make this happen, but their 'Not fake news' ad creative is also very timely. 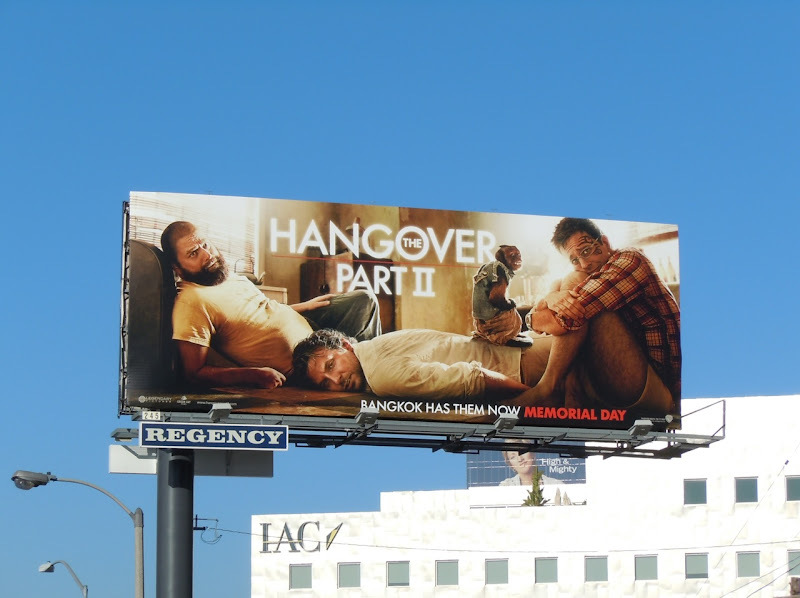 The 'Wolfpack' are back and by the looks of it, more hungover than ever. 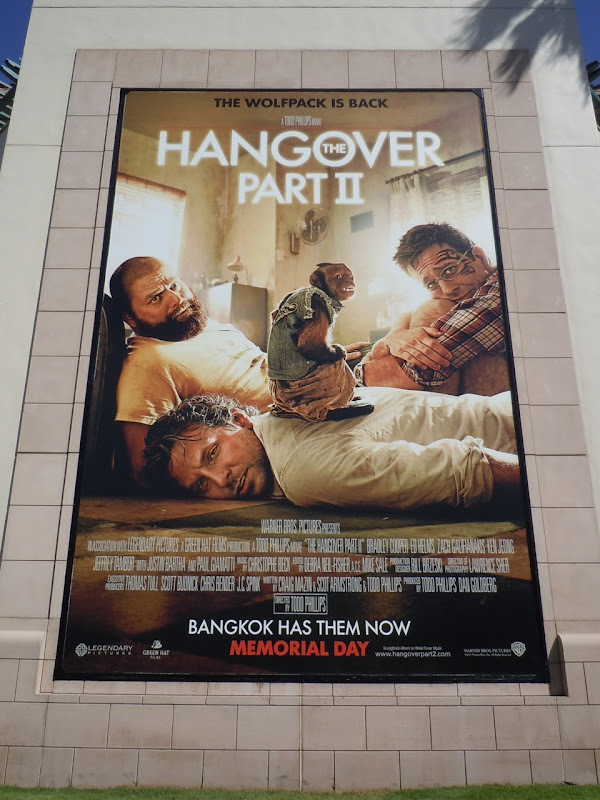 Zach Galifianakis, Bradley Cooper and Ed Helms return for more crazy misadventures as The Hangover Part II says bye-bye to Las Vegas and tigers, and hello to the delights of Bangkok, tattoos and monkeys. 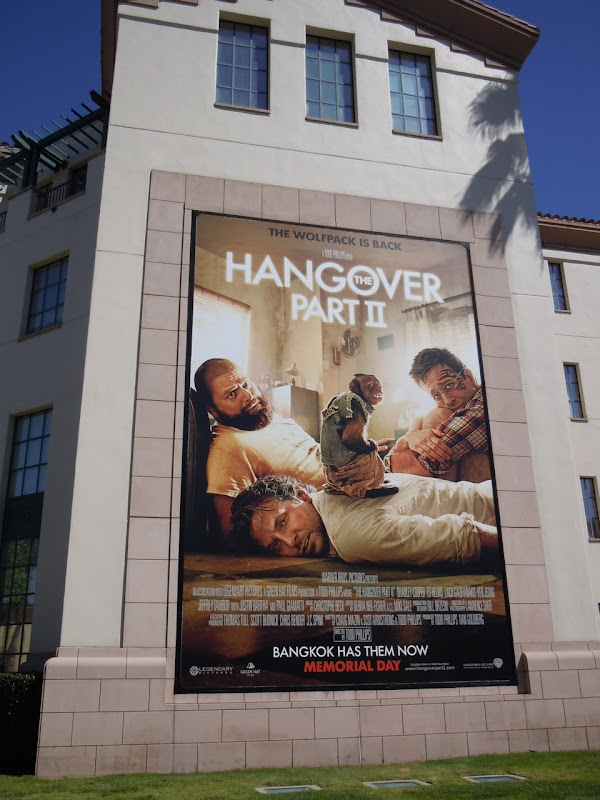 These amusing billboards which totally capture the spirit of the movie were snapped along Sunset Boulevard and at Warner Bros. Studios in Burbank on April 5, 2011. 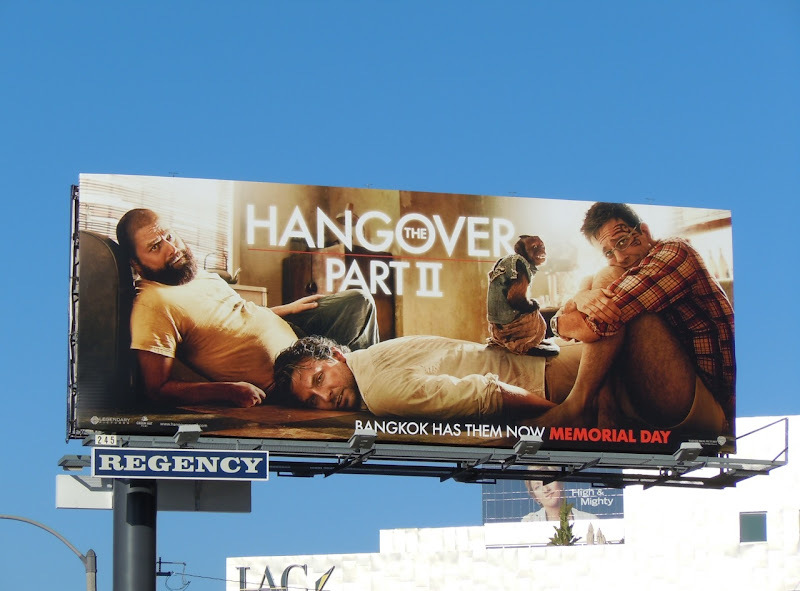 UPDATED: If you like the cinematic release ads, then you'll love this billboard for The Hangover Part II Blu-ray movie release snapped along Beverly Boulevard on December 2, 2011. 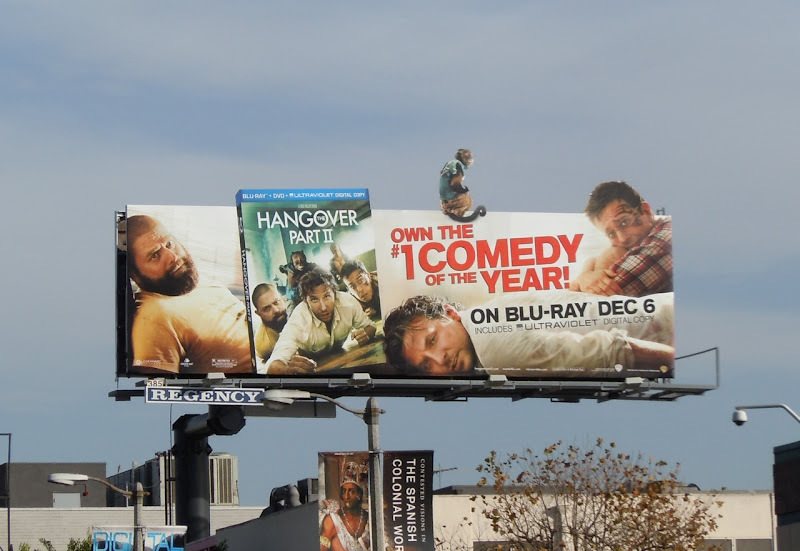 Don't you just love that monkey sitting atop the billboard. UPDATED: Here's another fun special extension billboard for the Blu-ray release of the comedy sequel, snapped along 3rd Street at South Gardner Street on December 16, 2011. 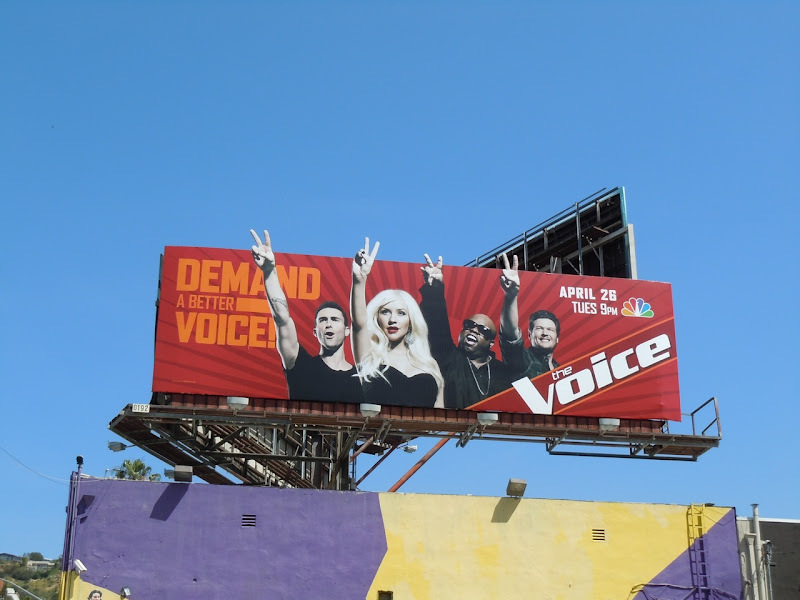 These revolutionary style billboards for new reality talent contest, The Voice, really stand out around L.A.
Obviously it helps when the vibrant creative also sports recognisable, high-calibre music stars like Maroon 5's Adam Levine, pop diva Christina Aguilera, Grammy-winner Cee Lo Green and country singer Blake Shelton. Apparently these celebrities will be 'Coaches' and not 'Judges', on this latest imported show from Holland set to rival the powerhouse of American Idol, and help find America's next singing superstar. 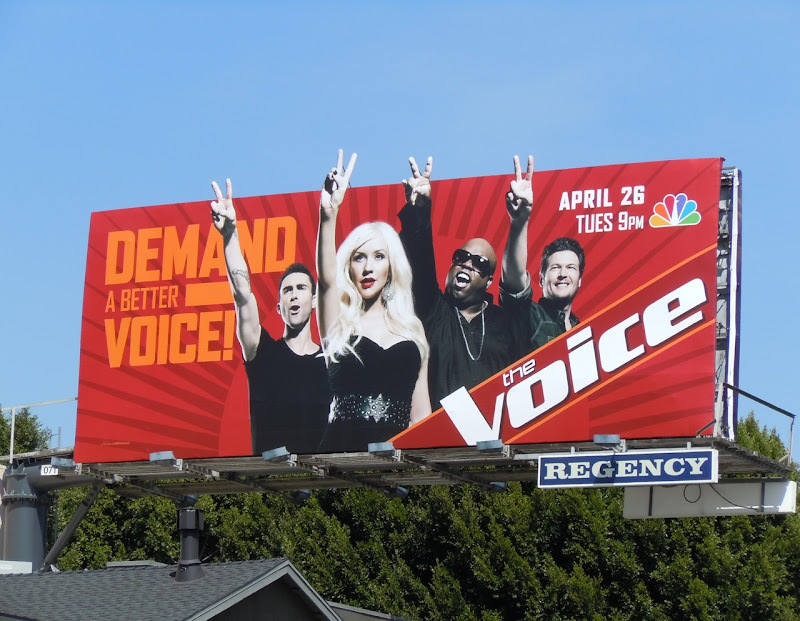 These eye-catching billboards were snapped along Sunset Boulevard on April 14, 2011. 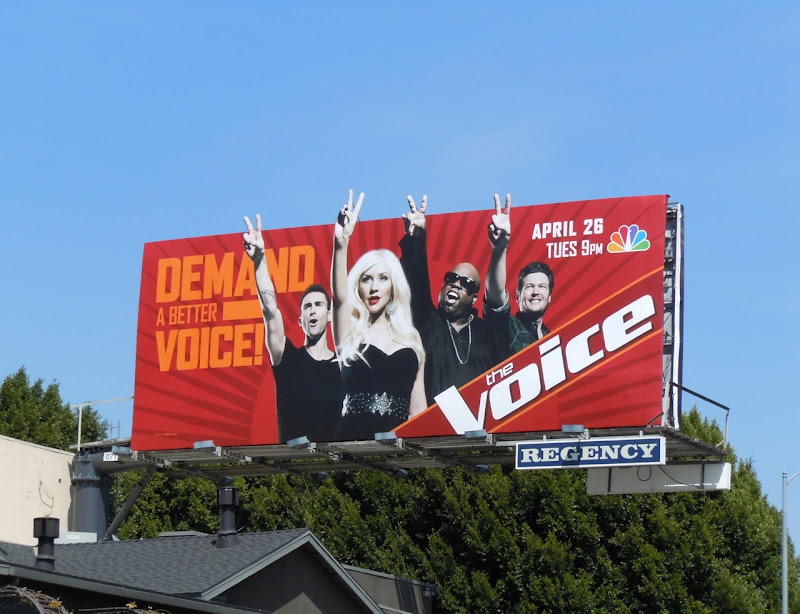 If you're a fan of Christina Aguilera be sure to also check out this billboard for her Bionic album and her Burlesque movie billboard with Cher. It's hammer time! 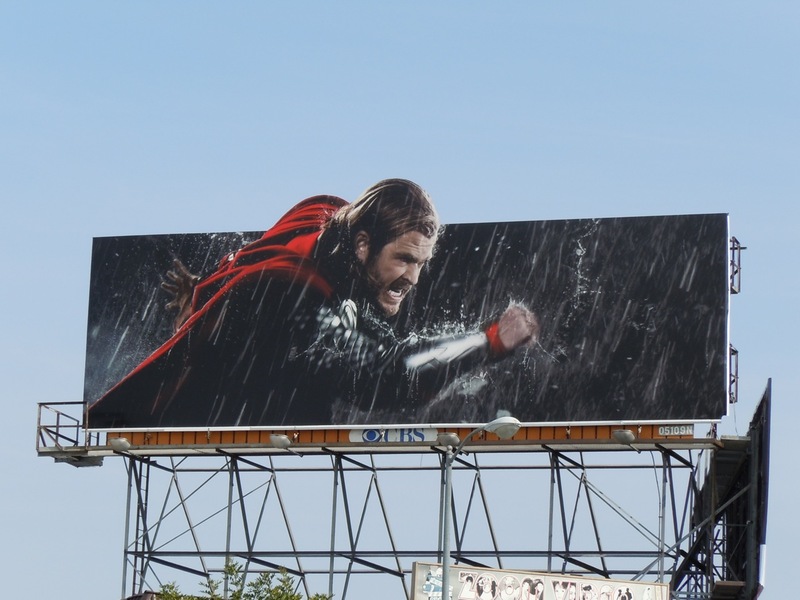 These action-packed billboards for Marvel Comics latest big screen hero, Thor, really are supercool. 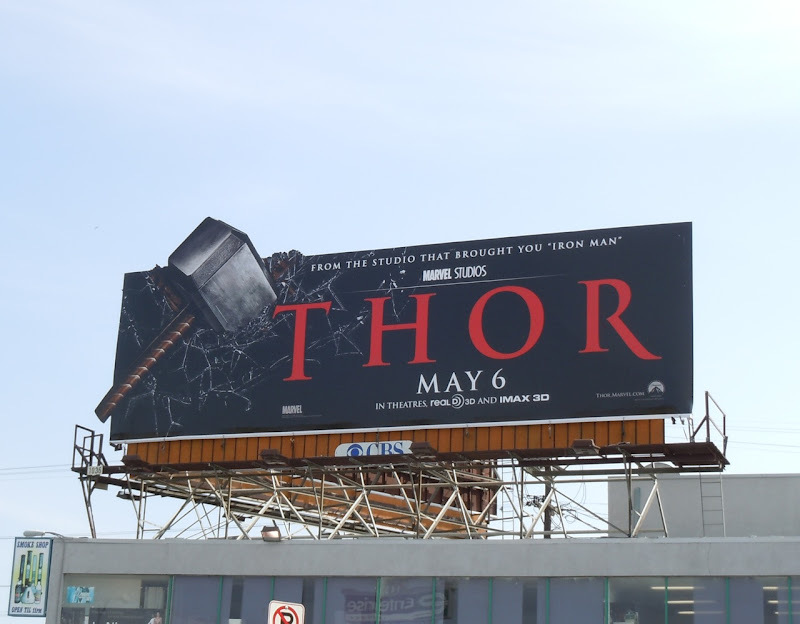 In a clever bit of billboard placement you can see the mighty warrior Thor using his legendary strength to hurl his mystical hammer, Mjolnir, to impact on the billboard on the other side of the street. It really makes for a clever visual impact. 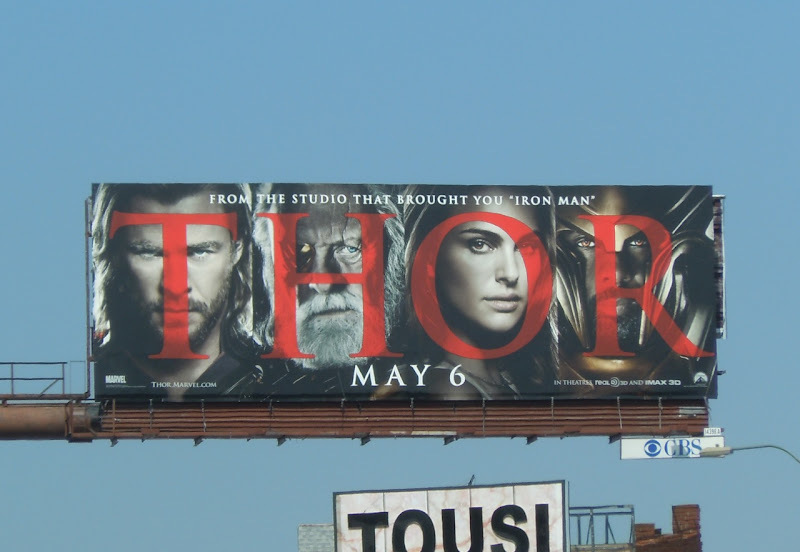 The Norse God of Thunder is also joined by some of his fellow gods on this different Thor movie creative, which features Anthony Hopkins as his father Odin, Idris Elba as Heimdall and Natalie Portman as his mortal love interest, Jane Foster. 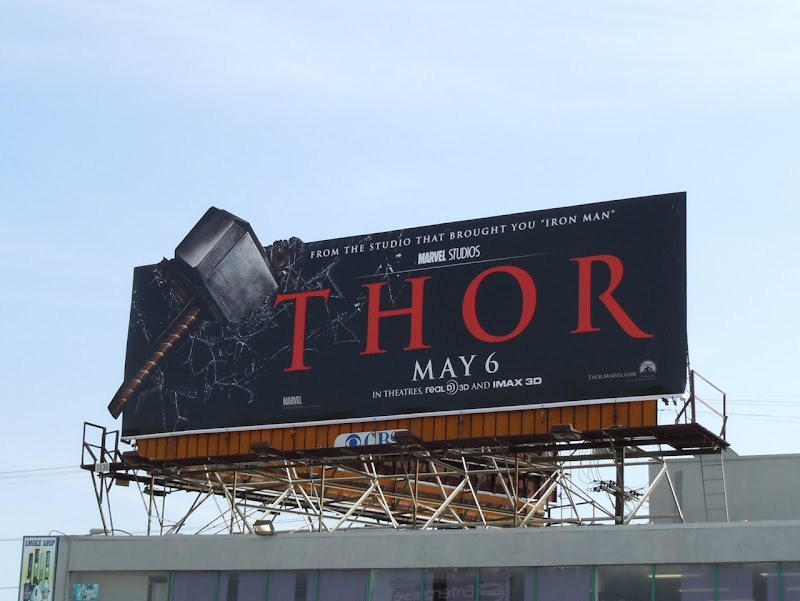 The hammer toss billboards were snapped along La Cienega Boulevard at Pico in L.A. on April 13, 2011 and the Thor cast billboard along Santa Monica Boulevard. 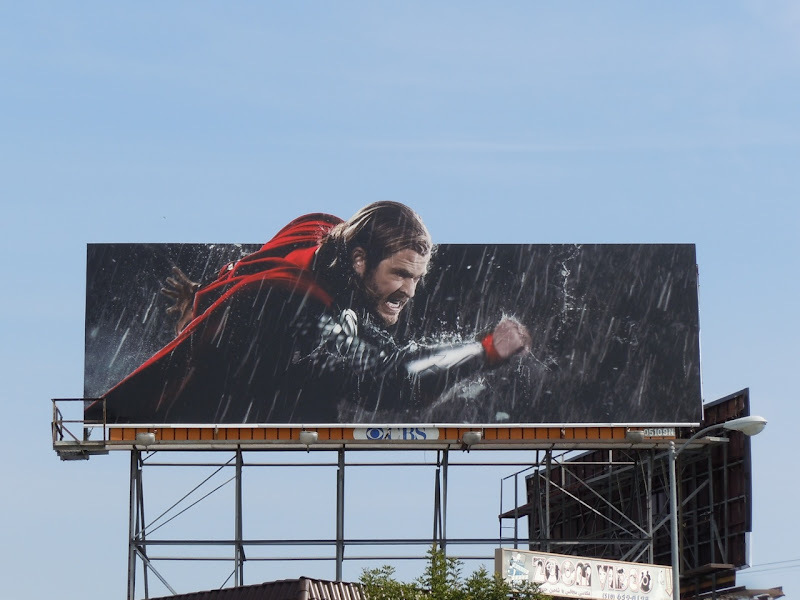 If you're a fan of the Son of Asgard, be sure to also check out the giant Chris Hemsworth Thor movie billboard along L.A.'s Sunset Strip. Here's a bit of light relief for your day. Who hasn't messed around with the photocopier at work, or at least thought about it once in a while when they were bored or drunk at the office party. Blake Anderson, Adam Devine and Anders Holm star in Comedy Central's new comedy about three college graduate roommates who all work for the same telemarketing company. 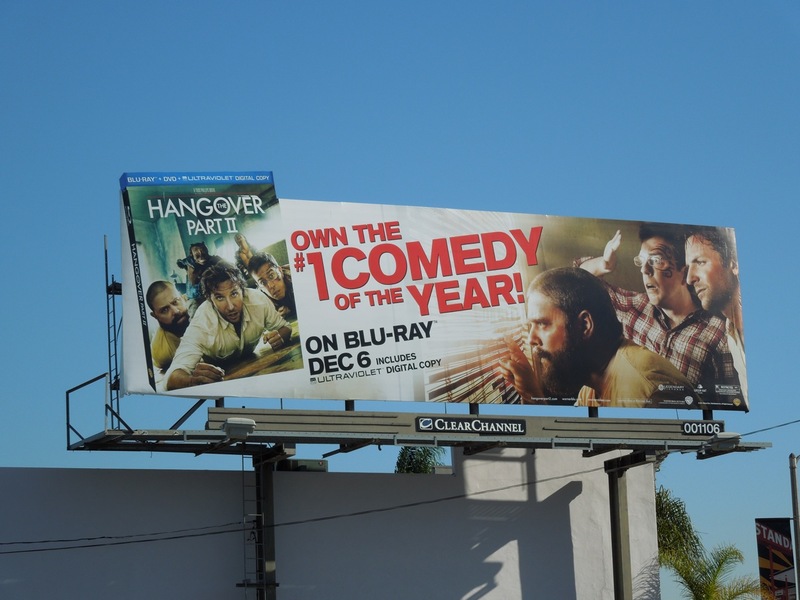 This fun creative for new TV comedy, Workaholics, was photographed along Beverly Boulevard on April 4, 2011. 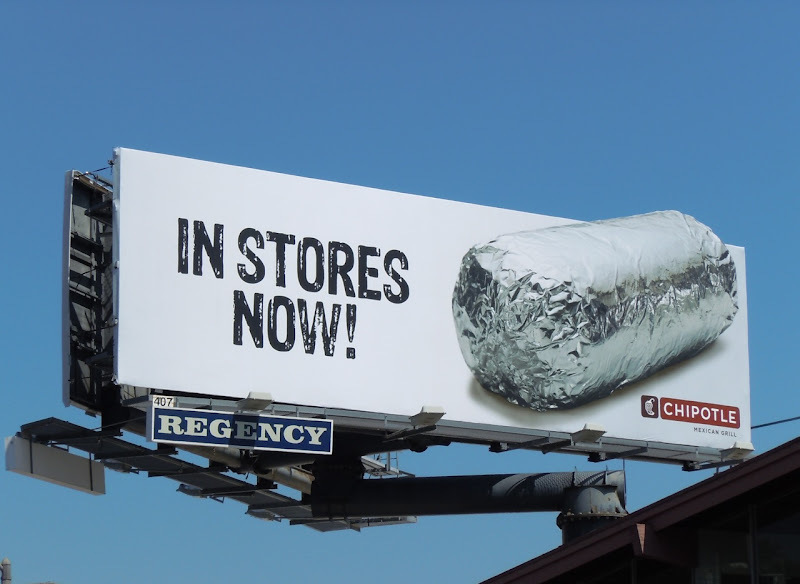 Having the photocopier tray stick out as a special extension of the billboard really makes it stand out from afar. 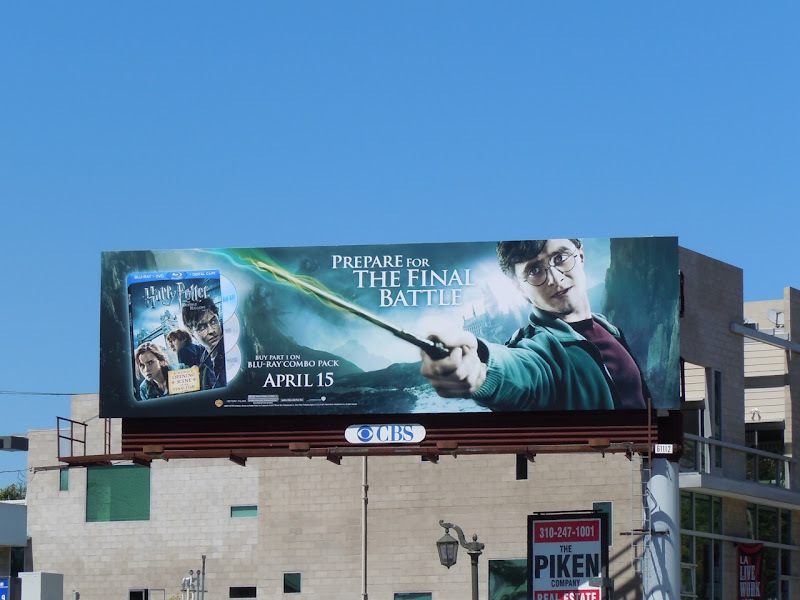 Harry Potter (and Daniel Radcliffe) has come a long way since his first cinematic outing, and here he is confidently brandishing his wand at corner of Melrose and Highland Avenues on March 31, 2011. 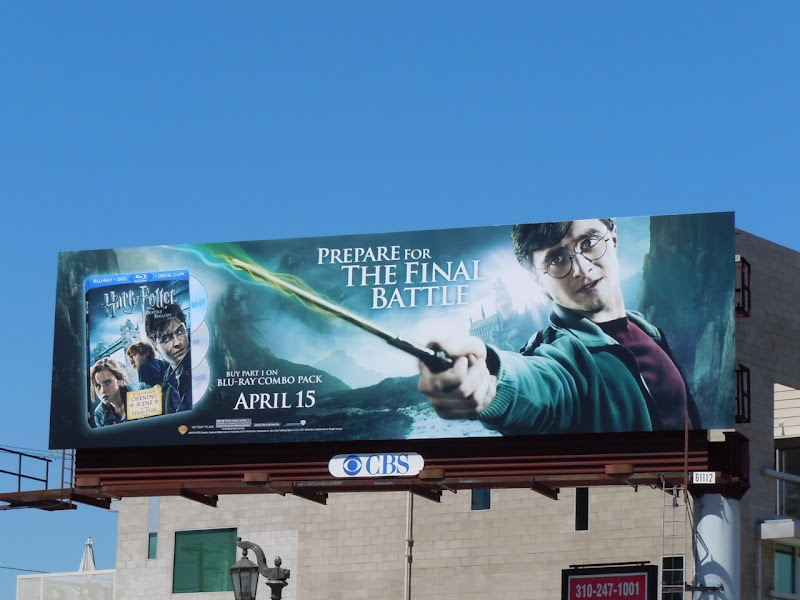 This billboard for the first part of The Deathly Hallows, the final installment in J.K. Rowling's epic world of teenage wizardry, helps advertise not only the Blu-ray release of this seventh film, but also builds excitement for the final battle with Voldemort coming later this Summer in Part 2. 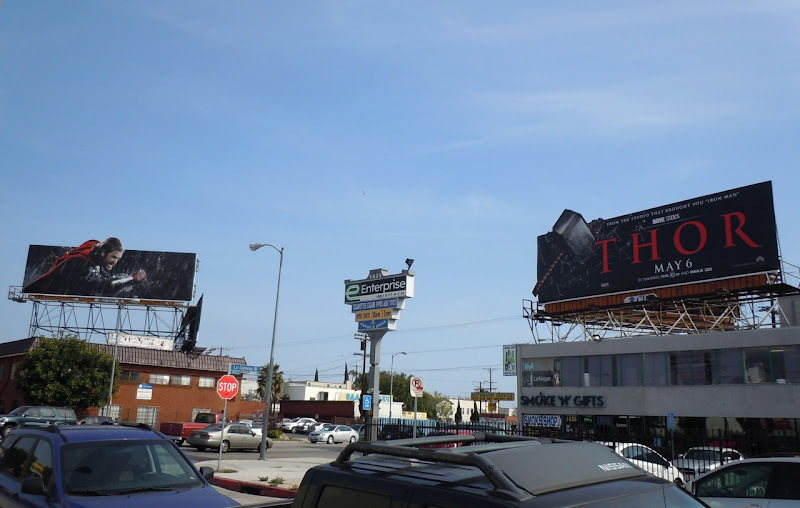 If you're a fan, be sure to also check out these other billboards for Harry Potter and the Deathly Hallows. Not everyone can wear a bra with fireworks shooting out the front without batting an eye, but if there is one person guaranteed to pull off such a look, it's the mistress of avant-garde style herself, Lady Gaga. 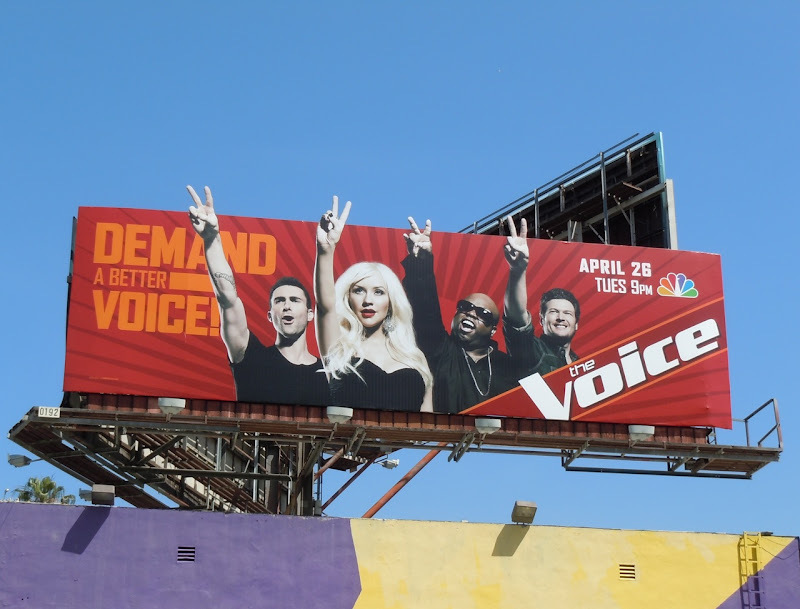 This arresting billboard for the pop sensation's Monster Ball Tour concert to be televised on HBO certainly captures your imagination. 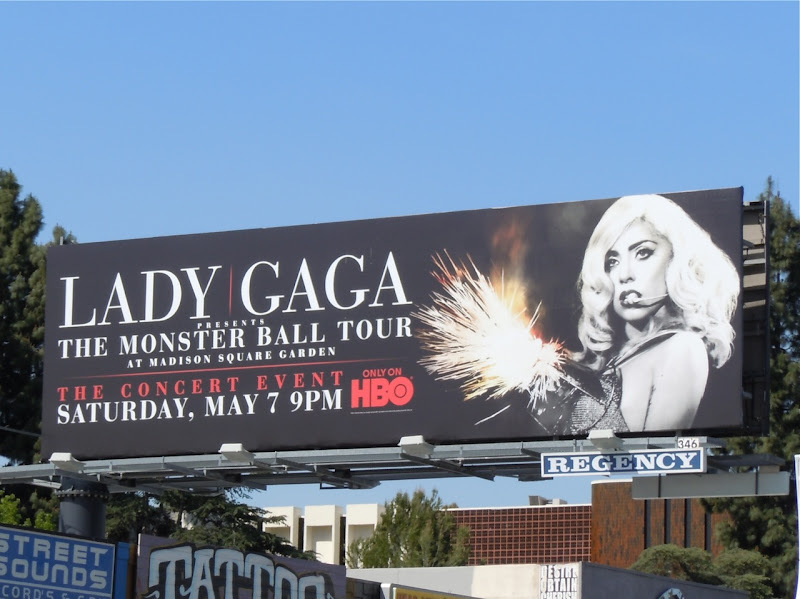 If you're a fan, be sure to also check out Lady Gaga's Born This Way album billboard from West Hollywood. 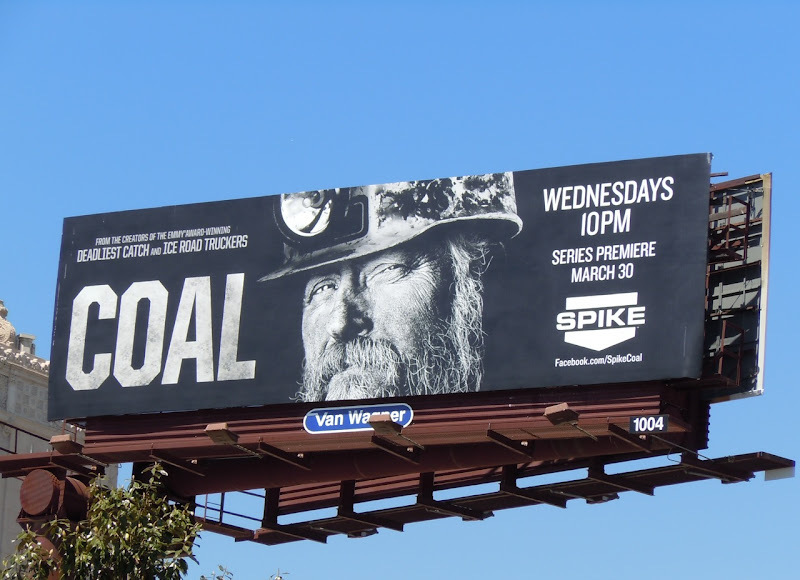 These eye-catching billboards were snapped along La Cienega Boulevard at Olympic and also on Melrose Avenue on April 14, 2011. 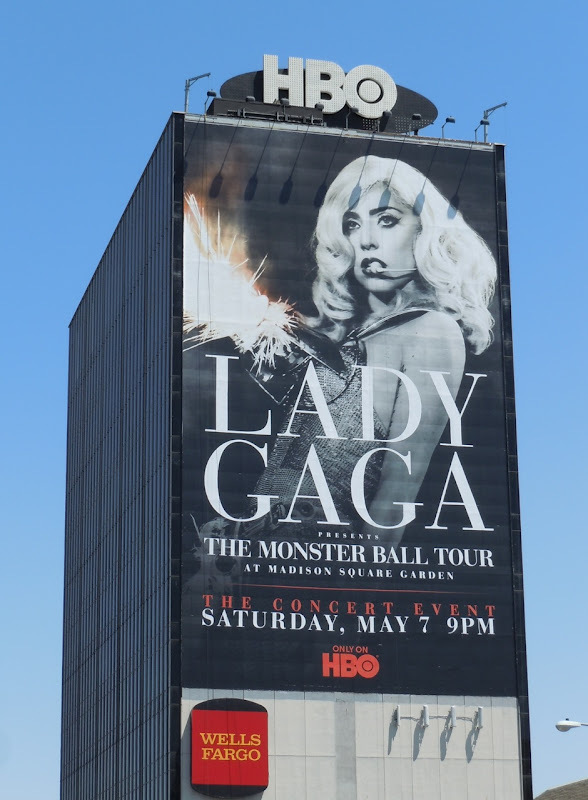 UPDATED: Check out this giant Lady Gaga pyrotechnic billboard towering over L.A.'s infamous Sunset Strip, snapped on April 30, 2011. 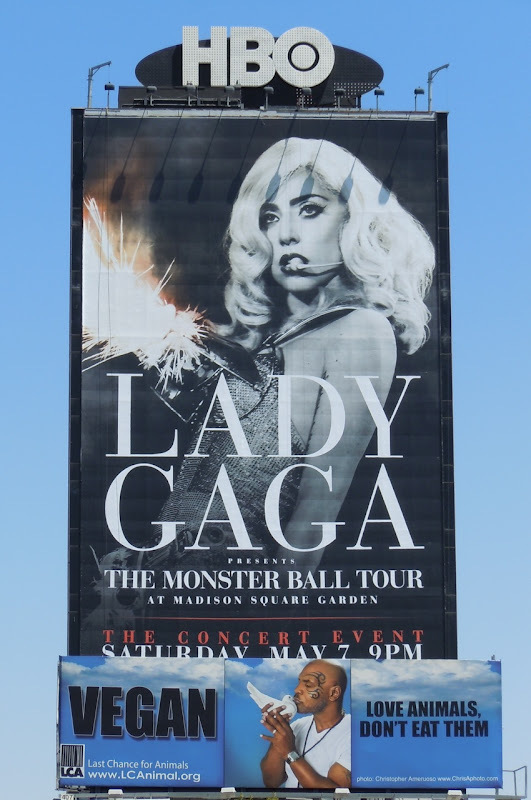 UPDATED: Check out this cool billboard for the behind-the-scenes book filled with photos by Terry Richardson as he followed Lady Gaga as she toured the world. 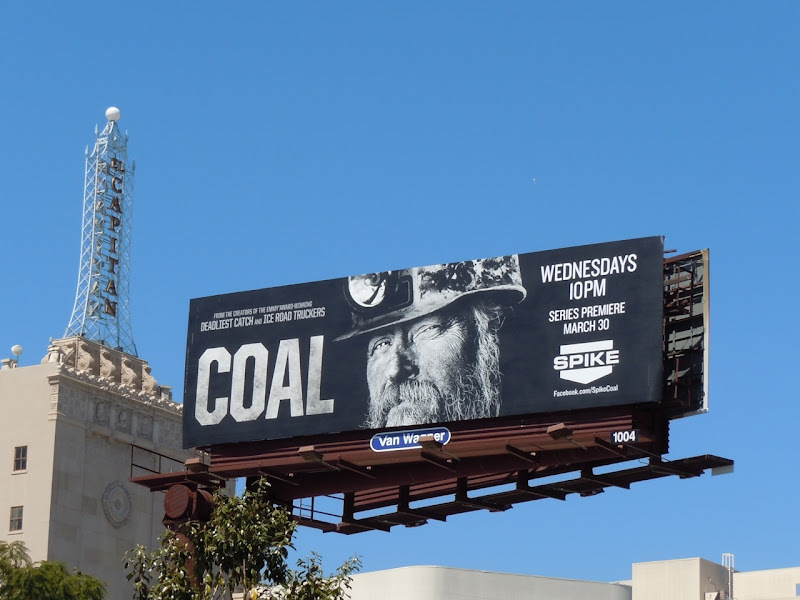 The ad was snapped along Sunset Boulevard opposite the infamous Whisky A Go-Go club on November 30, 2011. 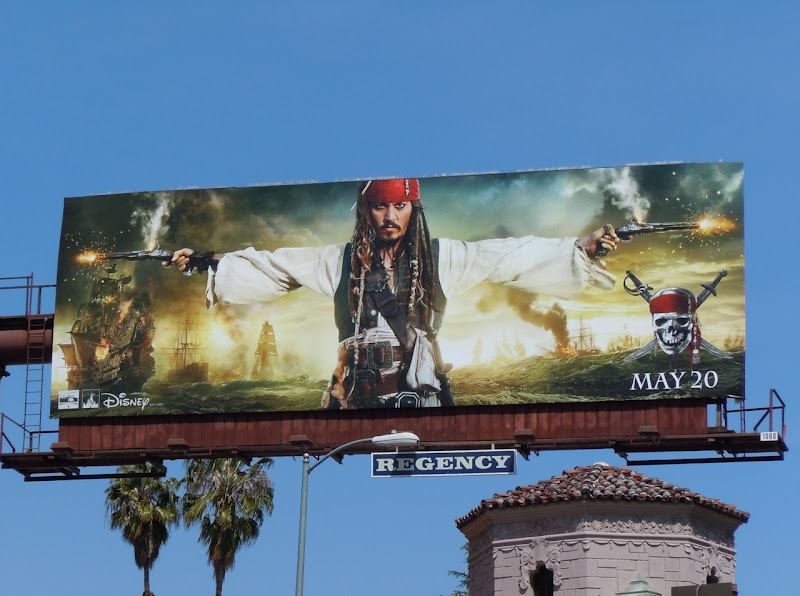 These two new Disney movie billboards should give Pirates of the Caribbean fans something to smile about. 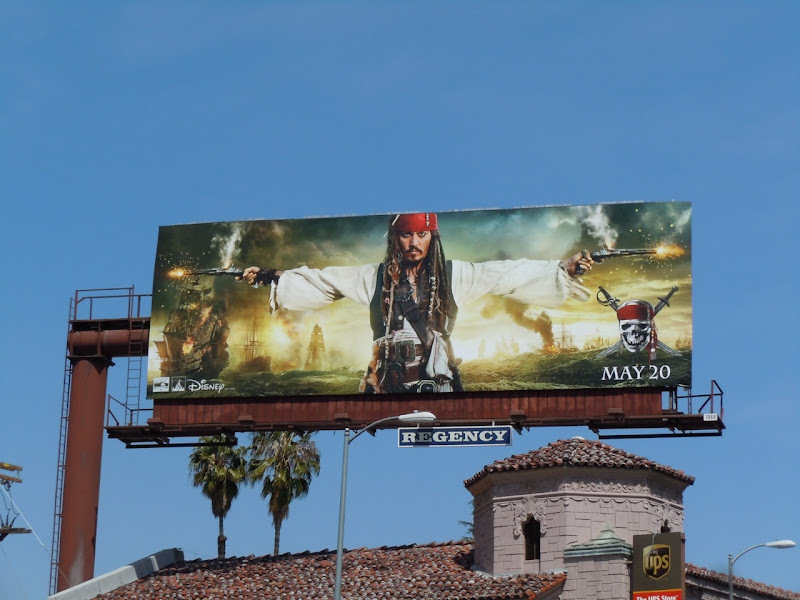 Johnny Depp as 'Captain Jack Sparrow' has established himself as a bit of a movie icon in recent years, so it's no wonder that the marketing folks have decided to let his unique look do all the talking in this billboard for the fourth installment in the theme park ride turned movie franchise, On Stranger Tides. 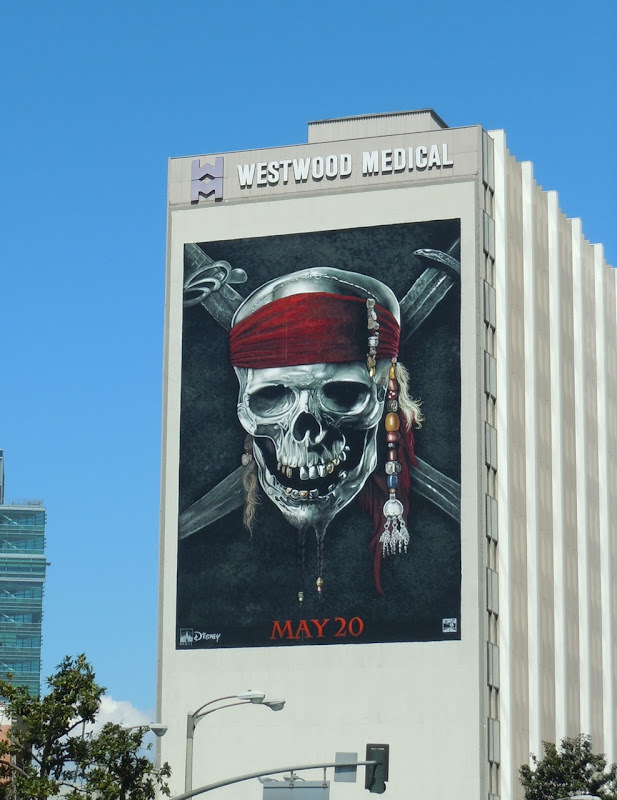 They really are noticeable creatives amidst the often crowded L.A. skyline and this giant skull and crossbones teaser billboard was snapped along Wilshire Boulevard in Westwood on April 9 and the Jack Sparrow creative at Sunset Boulevard and Crescent Heights Boulevard on April 14, 2011. Don't forget to check out Johnny Depp's Jack Sparrow costume from Pirates of the Caribbean: On Stranger Tides on display.